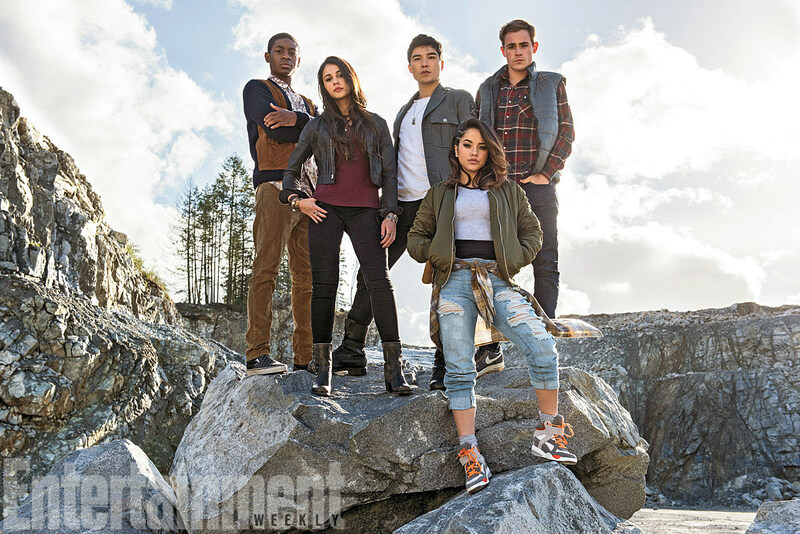 Is this the first cast photo from the upcoming Power Rangers movie, or is this promoting the new juniors line in the latest Macy’s catalogue? The only proof we have of the former (aside from its debut in Entertainment Weekly) is the absence of a caption telling us how to get Trini’s cool grunge look. Elizabeth Banks co-stars as the villainous Rita Repulsa in the new film, which centers on a group of teens “chosen by destiny” to protect their town of Angel Grove (and the world) from an impending alien attack. It’s the same basic setup as the classic Power Rangers series, though Israelite says the film differs in that it takes a contemporary look at today’s “disenfranchised and disparate” teens. The diverse group will have to overcome their differences if they want to save the world. While the first official production image doesn’t show off the team’s power-suits, we can expect something a bit different and updated for the film. Weta Workshop, best known for their work on The Lord of the Rings and Hobbit films, has created a new line of upgraded suits.